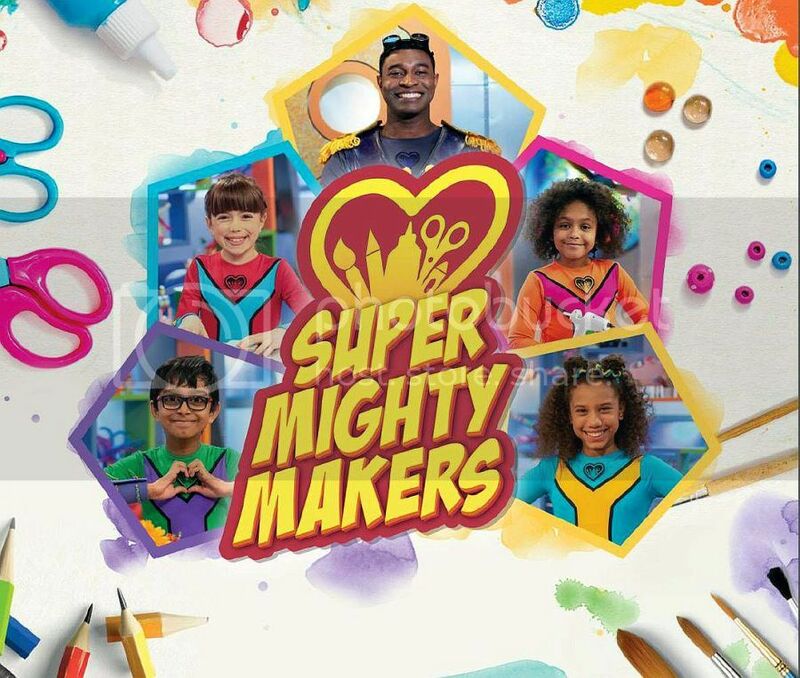 Super Mighty Makers is new kids show that is changing the world one craft at a time! The team of In-the-field kids with special powers helps to solve problems with kindness, through crafting. From making a new student in school feel welcome, to cheering up a friend with a broken leg, or creating a care package for an elderly neighbour, or showing how much we love our family, kids are inspired to have fun and save the day with cool crafts, creativity and kindness. 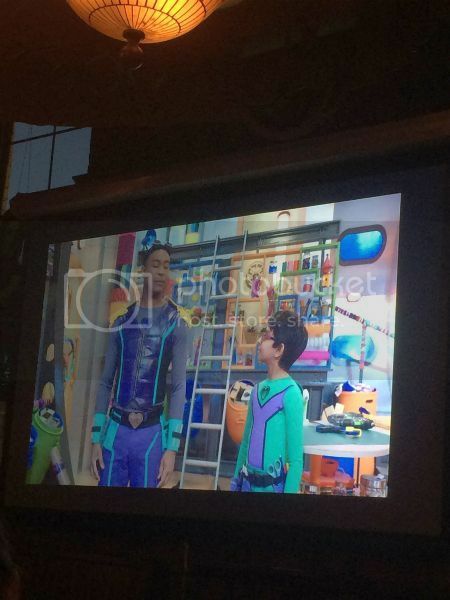 Led by super-crafting host Bondini, a team of kid superheroes with special DIY powers answer the call of one special kid on a mission to make someone’s day in every episode. With each act of kindness, the Super Mighty Makers show how you can have fun and make a positive change to the lives of others. In each episode one of four Super Mighty Makers gets the craft alert from Bondini, uber crafter, that sets off the Maker Mission! Together in the CareCraft blimp, Bondini and the Super Mighty Maker learn all about Craft Kid - who they want to help, what that person need to help with, and suggests the perfect craft to make for the situation! Then they "sparkle up", meaning, they teleport The Craft Kid to the craft studio and then they make the coolest craft together. When the special creation has been completed, Bondini and the Super Mighty Maker "sparkle down" their friend and the person gives the craft to their beloved recipient (best part). 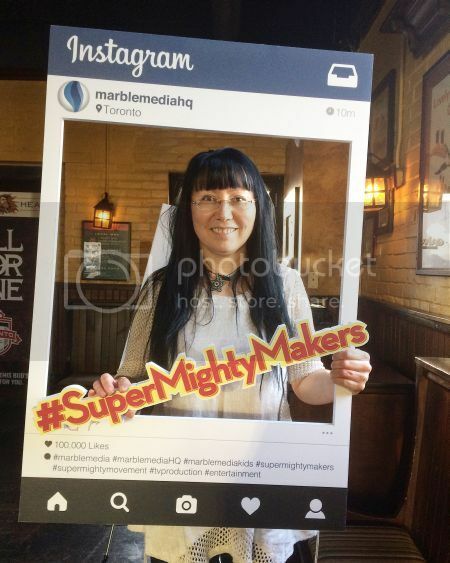 I had a chance to join Super Mighty Makers at the launch party in Toronto and meet amazing Mighty Makers from the series. I really liked the episodes we watched together. In our world where kindness sometimes easily forgotten Super Mighty Makers bring so much positivity and shine. Just watch how happy the recipients are when they get special crafts made for them with love and care. You will be surprised how easy to make crafts with Super Mighty Makers. They are so detailed and split in easy to follow steps. 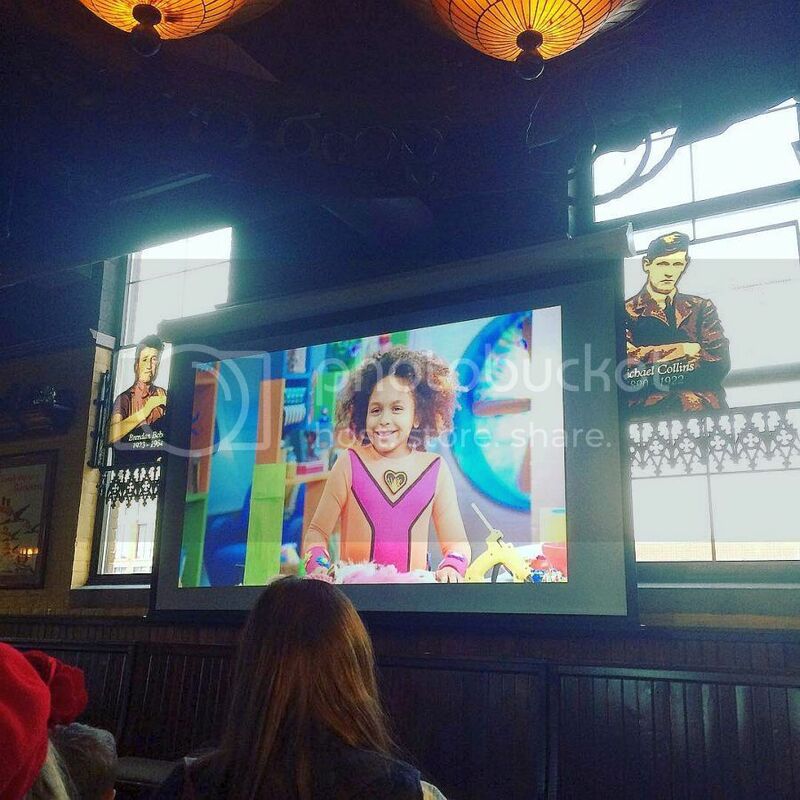 Kids can re-create the crafts they saw on TV at home. Make a world a better place one craft at a time! 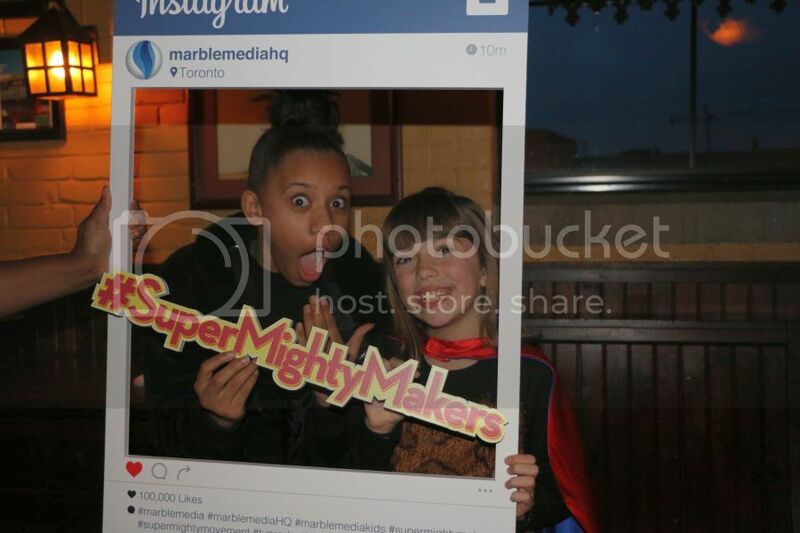 Tune in starting November 3rd and watch Super Mighty Makers, every Tuesday on TVO at 5:50 pm ET and repeats Sunday at 4:55 pm ET and online at TVOKids Youtube Channel.